Dr. Jack Hinderman began practicing in 2005, starting off his career in Cedar Rapids before moving to Dubuque. 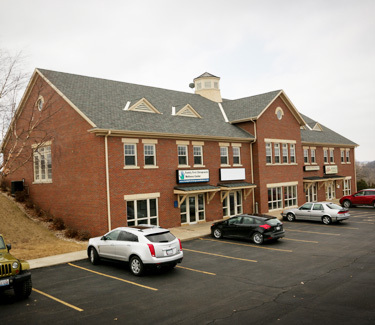 Family First Chiropractic Wellness Center opened in 2007 to support the well-being of all ages in our community. At our chiropractic care center, we’re about more than just neck or back pain. Chiropractic care is a choice you can make so that your entire family can live a healthier, richer lifestyle. Joining Dr. Jack in practice are Dr. Jenny Leist and the other members of our positive, warm and helpful team. Passion: We have a passion for service, life, and chiropractic. Professionalism: We exhibit the skill, judgement and behavior that is expected from a person who is trained to do a job well. Teamwork: Our team works together by combining each of our unique strengths to create an environment that allows us to provide outstanding value to our community in a very simple and efficient way. Love: Our service to our community is rooted in an unselfish and compassionate concern for the good of each individual we care for. Authenticity: Each member of our team behaves in a manner that allows them to stay true to one’s own personality, spirit and character. Integrity: We adhere to a code of having high moral values when serving and communicating the chiropractic paradigm to the world. Simplicity: We act efficiently and communicate in a way that is easy to understand. We are experts at simplifying the complex. We’re dedicated to helping families improve their lives. Find out what we can do for you by booking your appointment today!